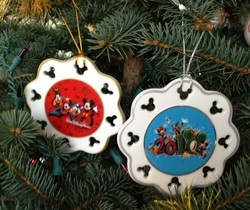 Heading to Walt Disney World for the holidays? Read this first! But fear not - even if you go this time of year, you can have a great trip. I've been working with several families this year that are planning trips over the Christmas-to-New Year's school break. These can be the most challenging trips to plan. This is not to say you can't avoid the crowds and have a good time this time of year - you can. But it takes a lot more planning and creativity. Your absolute best bet to have a great time during the holidays is to work with Optimal Magic. I will put together the best possible plan for your party, and help you do everything you want to do without waiting in lines for hours on end - please contact me if you're interested - I still have limited availability to add in a few more last-minute customers. Click "how our services work" for more information on how Optimal Magic will help you turn what would be a line-filled, stress-filled holiday Disney World trip into a magical family memory! But even if you don't use our services, there are some things you can do that will help you avoid the absolute worst of the season. Will you avoid ALL the long lines with these tips? No, you will not. But these are essential tips will help. As always, let me remind you that for Optimal Magic customers I put together a full itinerary that helps them avoid the long lines - even on the busiest days. These tips won't replace a full Optimal Magic itinerary (and my customers would be mad if I gave everything away for free! ), but they're a good start. If you're one of the lucky ones who get two weeks for winter break, then use this to your advantage. There will still be crowds after January 1, but they'll be less crazy than the week before. Plus, hotels will be much cheaper! 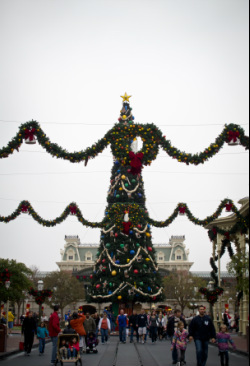 Here's the problem - Disney usually opens its parks at 8:00am the holiday week. And they add an "extra magic hour" for Disney resort guest from 7:00-8:00. Usually I don't like the extra magic hour, but during this crazy week, the Magic Kingdom has it every day. This means you need to use it if you're staying at a Disney hotel. It also means that if you're not staying at a Disney hotel, you're going to have lines from the second you arrive. Can't arrive early? Then stay late! VERY late! Take a look at the Disney World theme park hours, and head to a park that's open until extremely late. You'll still have crowds at 11:00pm or later, but they may be manageable. Check the Disney park hours here. Avoiding lines and having a great time at Disney during the holidays can be done, but it takes effort! The best way to avoid the lines is to use an Optimal Magic plan - contact me and I'm happy to run through details and costs of your personalized planning service before purchasing, and help you decide if it makes sense for your trip. However, even if you don't use my services, please have a plan. If you arrive at the Magic Kingdom at 9:00am, you're going to take an hour to get there on the monorail, and then you're going to be wading through huge crowds and waiting in two-hour lines. Unless that sounds like fun, you need a sophisticated, full plan for the day! To learn more Disney World and Disneyland tips and tricks, visit my blog!